Beervana Buzz: Let Me Tell You How it Will Be...Taxman! Throughout history, there are countless examples of events that were driven less by ideology than by economic forces. Sometimes you have to look a little deeper to see how a particular outcome was motivated by money. In fact, tax policy is often involved. How is beer wrapped up in this statement? Read on. 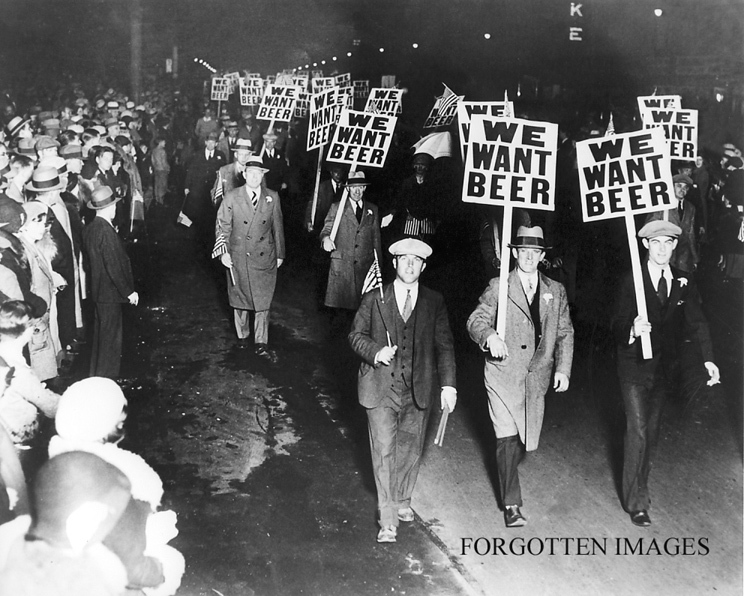 Lets' start with Prohibition...13 of the darkest years (1920-1933) in American history. The standard story line is that Prohibition came about because the Anti-Saloon League, part of a movement that dated back to the mid-19th century, convinced a majority of Americans that it was a reasonable idea. That helped them get people elected who supported the notion. However, Prohibition could never have happened had the federal government not changed the way it collected revenue. Awake yet? You see, prior to the implementation of the federal income tax in 1914, the federal government relied mainly on customs duties and the liquor tax. From 1870 to 1912, the government got two-thirds of its revenue (more than 75 percent in many years) via these two taxes. Congress could not seriously consider approving an ideal that would strangle the national treasury. That changed once the income tax was implemented in 1914. It supplied increasing amounts of revenue each year, receiving a further boost with the War Revenue Act of 1917 (the United States had entered WWI and needed more cash). By 1918, the income tax was generating the same amount of revenue as the customs duties and liquor taxes. By 1919, liquor tax revenues were trivial next to the income tax. Once it became economically feasible, Congress approved Prohibition legislation...and the 18th Amendment was ratified by the states. The law was largely ignored by many Americans and it boosted the fortunes of organized crime in many areas. But those aren't the main reasons it was repealed in 1933. A good part of the reason it was repealed is the Great Depression had seriously reduced federal tax revenues. The government needed more money. The 21st Amendment (repeal of the 18th) helped with that, although it took the brewing industry years to recover from Prohibition. Fast forward 60 years for another tax-induced fish story. 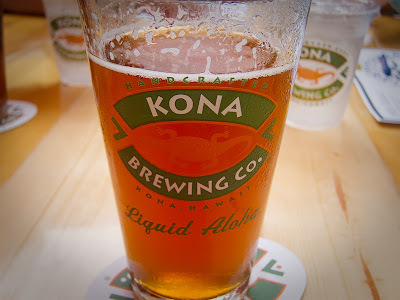 When I first learned Widmer was contract brewing Kona beer in the late 1990s, I assumed Kona simply wanted better access to the mainland market. I suspect there was some element of that. You brew and package your beer here and it's more efficient in a lot of ways if you're targeting mainland sales. But there was more involved. What really happened is the state of Hawaii changed the tax code in the 1990s. The revised code penalized brewers for bottling beer in the state. Hawaii, which had (and still has) one of the highest excise taxes on beer (nearly $29 per barrel vs. about $8 in other states) established a tax (50 cents/case) on empty beer bottles shipped to the islands. Since there was no bottle manufacturing in Hawaii, brewers who bottle there were stuck with the excise tax and the bottle tax. The new tax hurt brewers throughout the Hawaiian islands. Many went under. Kona is the only one that prospered and they did it by off-shoring (if you will) their bottling to Oregon. They continued to brew keg beer in Hawaii, but bottling in Oregon, even with transportation costs back to Hawaii, saved them money. Kona has been part of the Craft Brew Alliance for several years, a relationship launched at least nominally by tax policy. Taxes have done a huge amount to shape beer. Going back to the gruitrecht of 1000 years ago to the British system of taxing ingredients, then gravities, to the Dutch system--easily the weirdest--that taxed mash tun size as a proxy for output. That last one resulted in the development of turbid mashing, a vestige of which still survives in lambic-brewing.